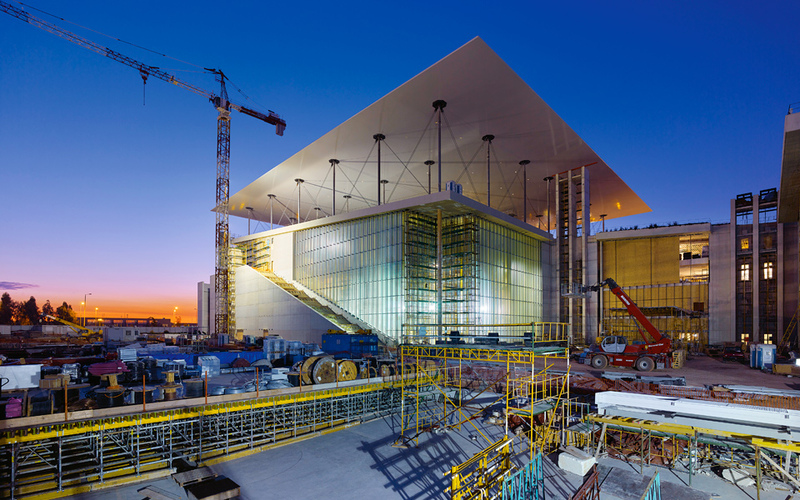 The Renzo Piano-designed Stavros Niarchos Foundation Cultural Center, to be completed in 2016 to house the Greek National Opera and National Library, is pushing the envelope in sustainable architecture. 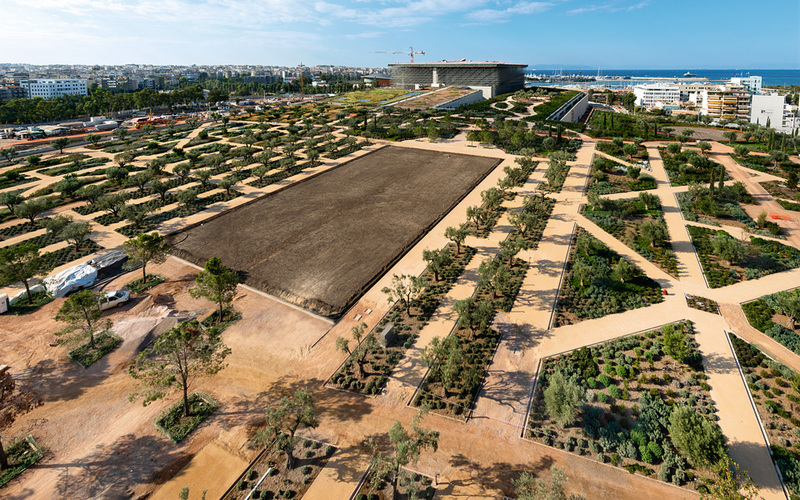 The sky is not the limit; it is in conversation with the Stavros Niarchos Foundation Cultural Center designed by Renzo Piano, arguably the most anthropocentric architect today. Looking out onto the Saronic Gulf in the South and the Parthenon in the North, the SNFCC will be a hub knowledge, culture and nature, as a 170,000 square meter Mediterranean garden built on an artificial hill – with 1,200 trees and 3,500 shrubs – embraces the Greek National Opera and National Library. Innovative ideas, environmental sustainability and cutting-edge architecture are expected to earn the SNFCC the platinum LEED (Leadership in Energy & Environmental Design) certification, which would make it the first project of this scale in Europe to receive the coveted distinction. Renzo Piano is giving Athens one of the most spectacular and technologically advanced opera houses in Europe. The new Greek National Opera will have two stages – the main stage with 1,400 seats and an alternative venue of 400 seats. These are the building’s only “closed” spaces; all the other areas are left bare, transparent and visible from the entrance foyer, looking 27 meters up. 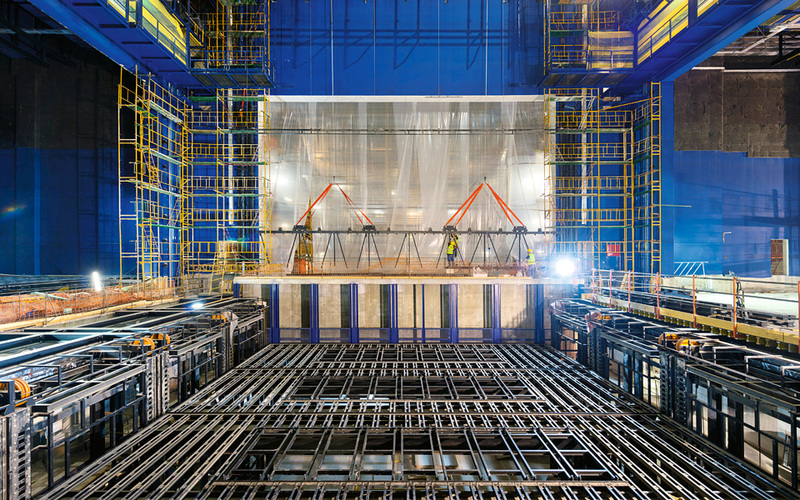 What we won’t be able to see is the sophisticated stage machinery and the seismic isolation system that allowed Piano to build 27-meter concrete columns. One of the most touching moments for the award-winning Italian architect was when an awestruck worker remarked that the building would last a thousand years. The view of the Greek National Opera at dusk reveals the transparent quality that defines the structures, but mainly the dominant role of the canopy, a feat of engineering and architecture. The 10,000 square meter “flying carpet,” as Piano has fondly dubbed it, is supported by 30 thin steel columns and will be covered with photovoltaic panels. Special shock-absorbing systems make it immune to strong winds and earthquakes. 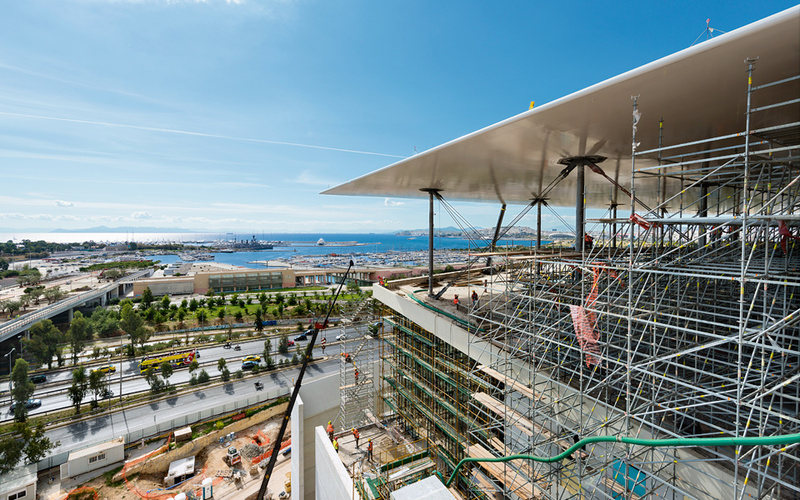 Beneath it, visitors will enjoy a 360 degree view from the the so-called “lighthouse,” a room made entirely of glass, as well as the SNFCC restaurant. An 18 meter “tower” of books is the first thing visitors will see when they enter the new National Library, a temple of knowledge that inspires instant awe. Here too, transparency and light are key elements, carefully designed to make the most of the strong Attica sun, without allowing it to become too overpowering. 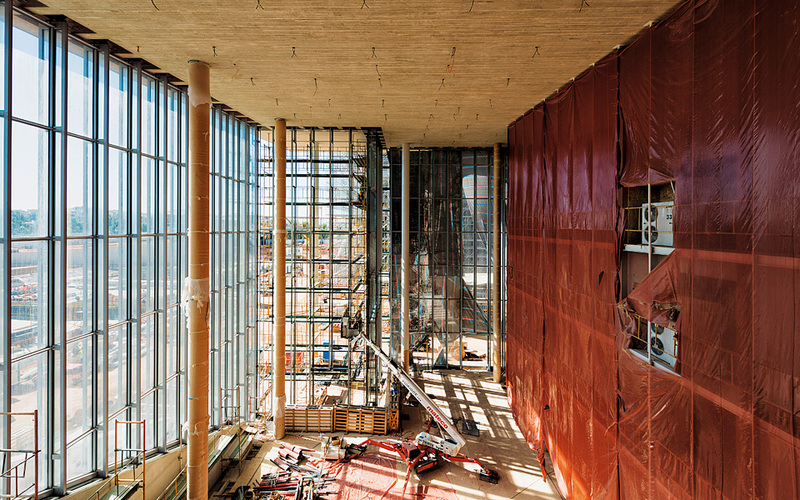 Unlike most libraries, this one won’t be on “mute,” however, as a large area at the entrance will be dedicated to educational programs and activities, ringing with the sound of music and voices; sounds of life. The 22,000 square meter building will be home to more than 4,500 manuscripts from the 9th to the 19th centuries, as well as an extensive collection of significant historical documents. An architectural achievement in its own right, the landscaping consists of a gentle artificial slope that climbs to a height of 42 meters, strengthened by special systems to prevent soil erosion and sogginess. A series of carefully appointed arbors of pines, olives and smaller trees form an elegant succession of open and more sheltered spaces, which include several playgrounds for children. With the help of experts who studied Attica’s endemic flora, the garden is planted with boxwood, oregano, lavender and rosemary, among other shrubs and herbs.